There's a fern for just about any spot in the garden - any site from a dry rockery (did you know there are drought-tolerant ferns?) to a damp foresty/woodland setting is potential fern habitat. 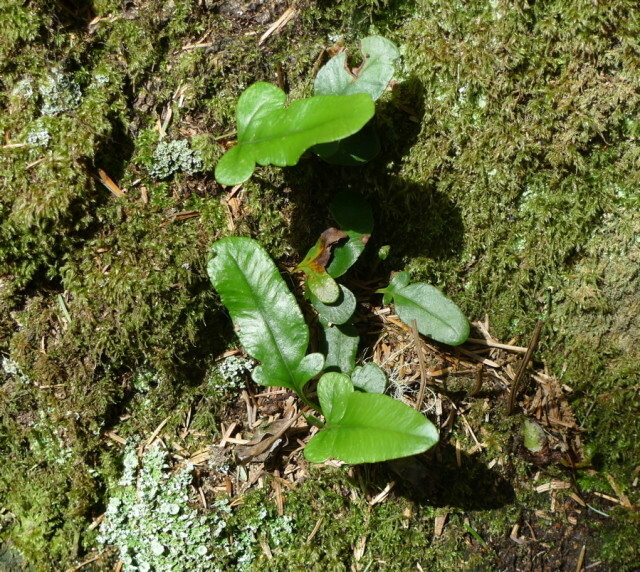 This little number was spotted on some mossy rocks in Sitka spruce woodland at the Oregon coast. It’s not too late to jump in the car Saturday or Sunday morning and head to Gold Bar, Washington for the famous Fronderosa Frolic at Fancy Fronds, undoubtedly the most incredible fern nursery in North America. The trip’s about 3.5 hours from Portland – leave first thing in the morning Saturday or Sunday and be back by nightfall – or camp out there and make a weekend of it. You’ll be surrounded by fascinating plantspeople all weekend and any plants you buy will support nursery owners directly. Join Fancy Fronds owner and fern expert Judith Jones in this annual celebration of rare plants, garden art, artifacts, and scintillating botanical conversations with some of the Northwest’s premier specialty growers and garden artists. You’ll find rare and unusual plants, drought-tolerant plants, daphne, hardy fuchsia species, primulas, and lots more including – of course – ferns! "Specialty nurseries are rapidly disappearing due to the aggressive marketing done by the large wholesale growers. Many of the new plants introduced by these commercial growers are first discovered or grown by keen growers operating small specialty nurseries. Please support them if you are interested in a diverse range of plants that have been correctly identified and tested to thrive in your gardens!" There will be plant raffles held hourly to benefit the Equine Stewardship Center, NWESC. Bring a bucket or bag and you can take home some horse poop! Questions? Contact Judith – judith@fancyfronds.com – or call 360-793-1472.